Thanks to comments on the previous post, I now realize that there have been extensive discussions of the merits of different CC licenses for open-access publishing. See for example: http://oaspa.org/why-cc-by/. These discussion explain that the most open licenses are best for the dissemination and utilization of scientific information. That's probably why both PLOS One and BioMed Central use only the CC-BY license, which allows unlimited use and modification, including commercial uses, provided the source is attributed. At a minimum the attribution requires listing the names of the authors. It should also require citing the journal where the article appeared, although this isn't always clearly spelled out. So far, open access publishing has been presented as both a public and a private good. Science benefits from barrier-free dissemination and reuse, and authors benefit from wider readership. The only cost under discussion has been the transfer of publication expenses from the reader to the authors or their institution. Opposition has come mainly from the publishers of subscription-access journals whose profits are threatened. But for-profit republication of open-access articles is a cost that most advocates of open access didn't anticipate and that most authors are unaware of. It's time for open-access advocates and especially publishers to take on the responsibility of informing authors of all the consequences, not just the good ones. In some ways the ethical issues are like those of a clinical trial. Participation generates a public benefit (medical research) and may be directly beneficial to the participant (better medical care, access to new therapies). But the researchers directing a clinical trial are obliged to make sure that potential participants also understand the risks and costs. They can't assume that the participants have thought the implications through, but must spell these out in clear and simple language. Similarly, advocates of open access need to honestly inform authors about the consequences of the CC-BY license. The onus shouldn't be on the authors to research the implications and consequences of different licenses, but on those with expert knowledge to communicate this to the authors. Should authors in open-access journals be allowed to choose between different CC licenses? Publishers agree that CC-BY is best for science, but authors may think it is not best for them. The major publishers don't give authors any choice, but I think they should. How should open-access journals inform authors about license consequences? This is particularly important when CC-BY is the only or default license. Most scientists I've talked to are unaware that the CC-BY licenses of their open-access papers allow commercial publishers to alter and republish their papers without consulting them. And they are very unhappy to learn that this is actually happening, often saying that they'll have to rethink their use of open-access. "Upon submitting an article, authors are asked to indicate their agreement to abide by an open access Creative Commons license (CC-BY). Under the terms of this license, authors retain ownership of the copyright of their articles. However, the license permits any user to download, print out, extract, reuse, archive, and distribute the article, so long as appropriate credit is given to the authors and the source of the work. The license ensures that the article will be available as widely as possible and that the article can be included in any scientific archive." "You retain copyright, licensing the article under a Creative Commons license: This means that articles can be freely redistributed and reused as long as the article is correctly attributed. 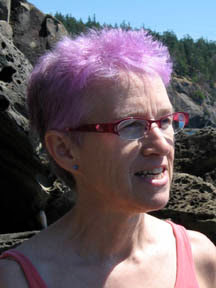 For example, a published article can be posted on a personal or institutional homepage, emailed to friends and colleagues, printed and sent to people, archived in a collection, distributed on CD-ROM, included in course-packs, quoted in the press, translated and further distributed as often and widely as possible. Read the full Creative Commons license." Perhaps it's just my background in computing and thus familiarity with the various Open Source licenses out there but it seems to me both of those are entirely clear. Note, particularly, "archive and distribute" in the PLOS section and "distributed on CD-ROM" in the BioMed section. I continue to be amazed at the extent at which people are willing to sign up to licenses they simply don't understand. The licenses are technically clear but they naturally don't explain the specific risks that matter to authors of scientific papers. Authors need to know, before they publish, that CC-BY articles are being edited and republished for profit without the authors' knowledge. We can't expect all authors to dig out this information - the onus should be on the (honourable) publisher to tell them.
" We can't expect all authors to dig out this information - the onus should be on the (honourable) publisher to tell them. " Attribution — You must attribute the work in the manner specified by the author or licensor (but not in any way that suggests that they endorse you or your use of the work)." I fail to see how anyone could fail to notice this when signing up for this license. Pedro, I suspect that I am not alone in being surprised to find out that "make commercial use of the work" includes a simple "republish for profit". Perhaps the problem is not so much with that, however, as the apparent lack of adherence to the Attribution conditions if people are being listed as authors without permission - particularly if article titles are being changed. That's completely irrelevant. The people who are collecting these papers in books are adding virtually no original content. Forcing them to make whatever additional content they add (if any!) available under these terms would do nothing whatsoever to deter them. After all, anyone can already gather the same CC BY papers and reprint them, so it's not like the people making these books have any exclusive rights to start with. I really don't understand why "for-profit republication of open-access articles is a cost". I'd be very happy if my research were selected for such a compilation. I also don't understand why charging money for these compilations is a problem - do the authors expect the editors to work for free? This would be quite hypocritical: everyone seems to be fine with GlamMag editors charging around US$30,000 per article for their selection, but now 100 for a whole printed book is "high-priced"? Instead of informing authors of CC-BY implications, one may have to inform them that the work they published is not 'theirs', but the tax-payer's. I agree with Bjoern's comments. I don't understand why CC-BY articles being edited and republished for profit is "a risk" or "a cost" for authors -- who should have read and understood the publication agreement before signing. Now, I chose to release these bundles for free via FigShare, but I could also have published them as a book via Lulu.com. That is, with CC-BY I have full control on how expensive the "book" is. Letting authors choose between cc-by and cc-by-sa is a great idea. Use of Cc-by-sa would mean that all changes to an article would remain available to everyone. Wikipedia uses the "sa" option. Choice is a bad idea because it requires end users to specifically check each article to know what they can or can't do. This is particularly harmful for any kind of automated system. A major publisher (nature.com) does permit authors to choose among three licenses: CC BY, CC BY-NC-SA and CC BY-NC-ND. See, for example, Scientific Reports (bit.ly/1bFiyxT) and The EMBO Journal (bit.ly/15t59Dg). What the journals don't tell their authors, and what the authors won't realize from the clear but very general CC-BY description, is that CC-BY articles are now being edited and republished without the authors' knowledge or participation. Most authors I've spoken to view this as harmful. The responses I'm getting, here and via Twitter, are "The authors should have realized this." and "The authors shouldn't see this as harmful." I think this blame-the-authors attitude is wrong and short-sighted. Over 5k image and media files from CC BY and CC0 scholarly articles are being used a total of over 50k times across Wikipedia language versions and their sister projects (cf. http://www.webcitation.org/6IVakSEiA ). How does that harm the authors? Do we know if the publishers exploiting researcher's use of CC-BY licenses in this way are making a profit? As a reader looking to save money, I think I would check to find the article for free online, and in this case anticipate I would find it for free somewhere. Thus the reason for paying for access from a publisher is nullified. For-profit republication of open-access articles comes at a cost in several ways. The most important ones are: (1) Libraries will buy these books because it isn't clear beforehand whether the book contains original material or just republished stuff; so, the library will have fewer money to buy original publications or licenses. (2) Researchers will waste time to (borrow and) read the book, some of them may even buy the book, because the nature of its contents isn't clear beforehand. (3) Citation counts for works published via different channels, or republished in this kind of books, becomes increasingly difficult and error-prone, thus potentially harmful to the carrier opprotunities of the authors. "It's time for open-access advocates and especially publishers to take on the responsibility of informing authors of all the consequences, not just the good ones." I think this is the fundamental disconnect in the discussion. I think most OA advocates on-balance don't see the commercial use of OA content allowed by the CC-BY as a bad thing. I don't think the "The authors shouldn't see this as harmful"-responses you mention in your comments are blaming the authors. Rather, people are trying to tell them something important about the fundamental motivation behind OA: gratis vs libre (http://www.sparc.arl.org/resource/gratis-and-libre-open-access). Are you just free to read the paper or can you do something with it? If you really think about it any license but CC-BY (or CC0) place severe (and often unexpected) limitations on use. Some examples: publishing under CC-BY-NC means that figures cannot be used in textbooks, course packs for sale at the bookstore, blogposts on http://rrresearch.fieldofscience.COM/, lecture notes for students paying for the signature track in this MOOC: https://www.coursera.org/course/usefulgenetics, any company that charges anything at all to cover the cost of distributing papers on DVDs to regions with poor internet connections, and, most important, hundreds of other good uses no-one has thought of yet. Publishing under CC-BY-SA means that if you use a single figure from such a paper in your lecture notes, then you must license your notes under CC-BY-SA. The same goes for using a CC-BY-SA image on a blogpost. One could make a good argument for the fact now you have to license your entire blog under that license. This is why CC-BY-SA is called a viral license: a single instance of use "infects" the site/file/book/course and "spreads" the license. For people who don't want to license their work under the CC-BY-SA license, work published under the CC-BY-SA license is hard to use. CC-BY (or CC0) removes these problems, so your reasons for using anything else have better be well thought-through. * I would be very interested in some detailed reasons for why having your OA article included in a compendium by a commercial publisher is a bad thing and why stopping that from happening outweighs other problems associated with licenses other than CC-BY or signing your copyright away. *That includes signing your copyright over to commercial publishers (i.e. when authors "rethink their use of open-access"). Try to ask permission to use a figure from such a publication for much of anything and you'll find that these figures are very much for sale by commercial publishers, without asking authors (why? they don't have copyright) and for a lot more than $80. PLOS should maybe write a comment piece about this practice, and link to it from their copyright agreement. Such a piece could point out the substantial benefits of being open to commercial use, as well as explaining the downsides. I do think that PLOS and others statements are clear on this point. I don’t see the statements as pointing out the benefits, and not the risks, they are a statement of fact (e.g. “the article can be included in any scientific archive”). I don’t particularly want to go the route of blaming the authors, but I do read the copyright agreements I sign (e.g. 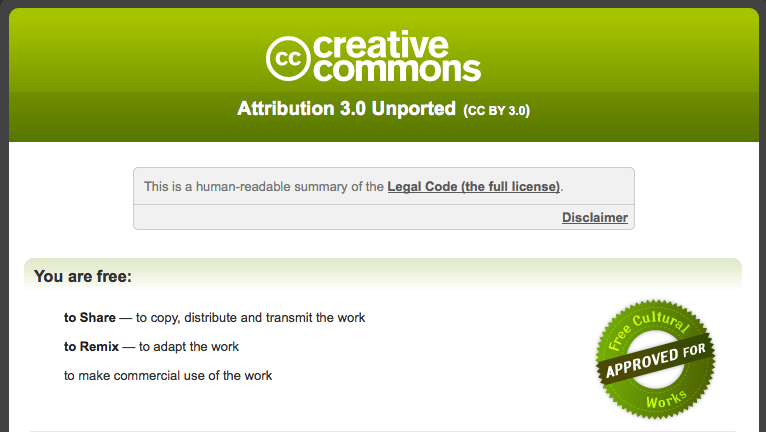 clicking through to understand what CC-BY means), and always found PLOS and creative commons to be very clear. They are much clearer than any commercial copyright agreement I’ve ever seen, which are often deeply cryptic. Signing away your copyright to a traditional journal is no defense against many similar issues. Working on human population genetics, figures and quotes from my work sometimes ends up appearing on sites that are borderline racist. While I find those sites pretty deplorable, and wish they would not use my work that way, those are (often) examples of “fairuse”. I have no interest or legal right to stop those uses. To do so would also stop people from using my work in their school reports blogs or engaging in discussion of my work online. It is the same with CC agreements allowing commercial reuse. I find these book companies pretty objectionable, but I see it as core tenant of open access that all reuse is allowed. One of the joys of true open access is that anyone can reuse the material, for any purpose, without having the complete nightmare of working out permissions etc. Presumably putting together a MOOC type course you are more aware of these issues than most, so I’m sure you are somewhat sympathetic on that point. So PLOS and others should do more to educate us all about the pitfalls of OA, but also the many benefits of commercial reuse. They definitely should not offer other agreements. To do so would be to step away from their core mission, and to complicate the legal minefield, they set out to help resolve. I have to say I'm perplexed why on the one hand we expect scientists to apply their best due diligence and intellectual thinking on doing their science, but that one the other hand it should be entirely fine to have no expectation of them applying any of these principles to agreeing with a license on their published work, to how libraries choose what they do or do not buy, and to what scientists determine they do or do not need to read whether a library has bought it or not. The whole upset reminds me of a software programmer who created an open-source software everyone loves, and when realizing that there's now a company called RedHat that repackages their software and makes money from it, is upset and exclaims that this is somehow harmful to him and to open-source software in general. Fortunately, in over a decade I've never heard of such a programmer, and as meanwhile has perhaps been widely accepted, the existence of for-profit companies like RedHat who started as repackagers has been an enormous boon to open-source software as a whole. If there's an unmet market need for books that repackage scientific CC-BY licensed articles, I'd be quite curious to see what that need is (mind you, it can't be lack of access to those articles) - and happy for commercial companies to fill it. As the nature of these things go, some companies will do so poorly, and other perhaps very well and in a way we may all come to appreciate as high quality. And if there isn't an unmet market need, this phenomenon will disappear as quickly as it appeared, precisely because it is commercial entities trying to fill it. So again, exactly why should we not expect scientists to be at least as much adults as software programmers? And exactly why is doing so the same as blaming the scientists? In my view, redistribution of an open access article that I had written, in its original form, would not be a problem, even in a commercial volume, as long as it were clear that the chapter is simply a copy of an open access paper. But I would be more concerned about derivative works. I have published in PLoS and would agree that the license conditions were made clear by the publishers. I think the problem is that derivative works encompass a wide variety. I don't think I had any misunderstanding about whether this kind of re-use would be permissible, but in practice I would not have anticipated it and therefore would not have given it much weight in deciding whether a license allowing derivatives was appropriate. Instead, I expected that the main effect of allowing derivative works would have been (i) to allow other researchers to use large excerpts without having to consult me (e.g. to use an entire section of the paper in an exam question, or in course notes, or on a blog), and (ii) to allow individual authors to re-use sections (e.g. a paragraph from the methods section) without fear of the other authors or the publisher. If the main effect of allowing derivatives is to facilitate uses such as these then I remain happy with my acceptance of the CC license, even if that comes with the risk of lightly edited repackaging; but if the main effect of allowing derivatives is to facilitate edited repackaging then I am not. "Attribution — You must attribute the work in the manner specified by the author or licensor (but not in any way that suggests that they endorse you or your use of the work)." It does make sense for OA publishers to publish under this license but perhaps they could offer assistance in going after commercial exploiters that appear to be breaching the Attribution terms of the license? If I found that one of my publications had been edited without permission - including the title - and I was listed as an "author", I would definitely see that as a fraudulent suggestion that I endorsed that re-use. No, free content licenses do not work like that. Attribution requirement is the same for everyone.